Steve started riding street bikes in 2003 after a long hiatus from crashing and hurting himself on 3-wheelers as a kid. He quickly got sucked into the excitement and thrill of track days with 2-Fast and other groups. He joined 2-Fast as a staff member in 2006 and has enjoyed every moment of the challenging and extremely fun work on the team. 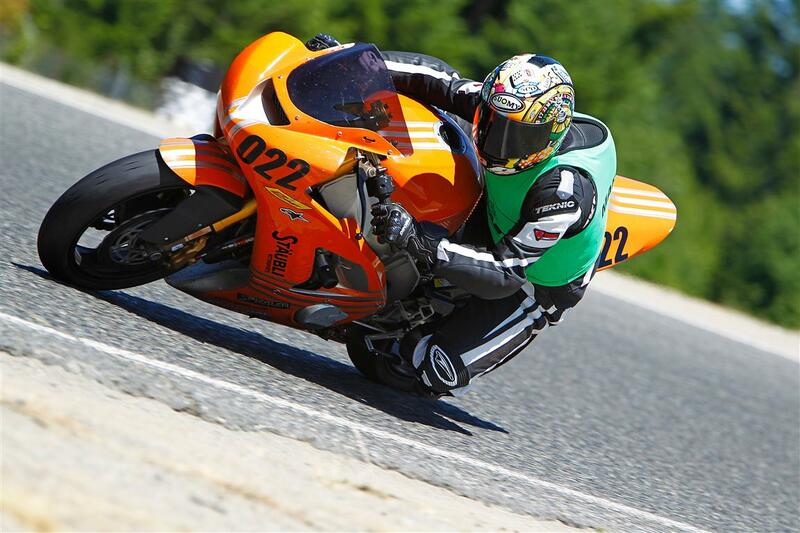 You’ll find him at the track on his pumpkin orange ZX6R or his all black Husky supermoto. Strangely, he’s never been a big fan of Halloween. When not onboard two wheels, Steve stays busy by spending time with his wonderful wife, friends, and pets. Skiing and snowboarding keeps him sane during the long dreary Seattle winters and he keeps in great physical shape by sweeping… lots of sweeping!